Are there any incidents caused by rudder failure in Military jets? Based on this question about the rudder position of the F/A-18 Fighter Jet. The logic has its limits though and if the pilot exceeds 14 AoA in a landing mode (flaps half or full), the FCS may accidently depart the jet. This is obviously bad 200 ft above the ground. As stated before, there are times when the rudders may suddenly fare themselves which can have devastating effects during the final portion to land. Rudder failures are serious problems and should be treated as such. Are there any known incidents where the pilot (as example) exceeded 14 AoA in landing mode and the FCS accidently departed the jet? The FCS has to play a certain role in the incident (like in the example) or like the incident No. 3 from the user aeroalias. There are certainly a large number of incidents/accidents in military jets involving rudders. I've listed a few cases, not necessarily in takeoff/landing. 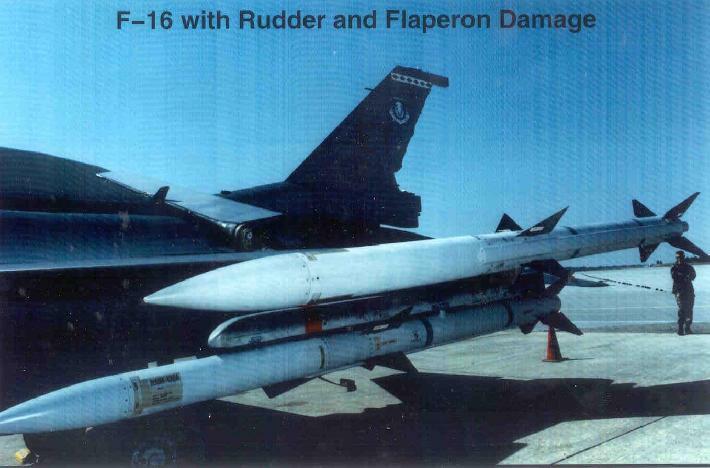 A Block 25 F-16C suffered structural failure during flutter tests with the AMRAAM missile. The rudder delaminated and tore off, and the pilot managed to land the aircraft. B-52 vertical stabilizers were prone to failure during operation at low altitudes. 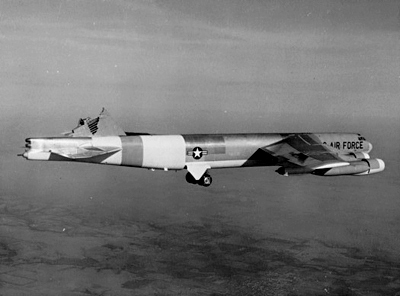 While under testing, a B-52H suffered catastrophic failure of vertical stabilizer. The pilots managed to land the aircraft with help from Boeing test engineers. "Boeing B-52 with no vertical stabilizer" by United States Air Force - USAF. Licensed under Public Domain via Commons. However, in other cases, the same failure caused fatal crashes. A USAF investigation blamed rudder failure for the loss of an F-15 near Hawaii in 2008. The investigation concluded that most probably both rudders in the jet failed due to failure of the aileron-rudder interconnect. F-14 suffered from rudder hardover incidents, one of which lead to loss of the aircraft. Investigations found the reason was due to mechanical failure of a stop plate attached to the hydraulic actuator. Not the answer you're looking for? Browse other questions tagged safety aerodynamics military rudder incidents or ask your own question. Have there ever been any accidents within holding stacks? Can any military aircraft (only fighter jets not the military cargo ones) be stopped using Arresting Gear technique? Why are there no longer any biplanes? Are there laws about how close military aircraft can fly to passenger jets, and are they enforced? What are the pros/cons of all-moving rudder? Are there any 'smart' ejection seats? Did any aircraft ever use stick twist for rudder control? Is there a website with a list of all commercial airline incidents? Have there been any incidents caused by an inability to shut down an engine?